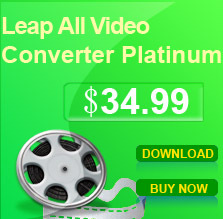 A powerful discount pack which can convert all popular video and audio formats and also can rip your DVD to video formats, including three popular and powerful software: Leap All Video Converter Platinum, Leap DVD Ripper Platinum, Leap All to MP3 AMR AAC OGG WAV Converter. 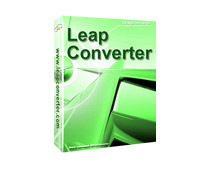 It is so powerful that it includes all the functions of Leap series software. It is an all-in-one pack which will make your multi-media life considerably easier.